Join Nancy J. Reid and Lisa D. Smith, the mother-daughter travel team and publishers of Big Blend Magazines, for Big Blend Radio’s TOAST TO THE ARTS & PARKS show, featuring photographer and mixed media sculpture artist John Ferdico, who was the recent National Parks Arts Foundation’s (NPAF) artist-in-residence at Hawai’i Volcanoes National Park. 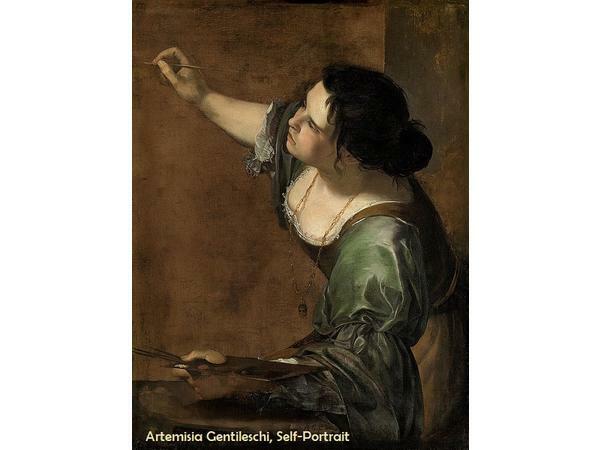 Ferdico was born in New York and raised in Kansas City, where he received his B.A. in Fine Arts from the Kansas City Art Institute. After that, he received his MFA from the San Francisco Art Institute, and lived in Oakland, CA, before moving to Hawai’i in 2012. The Artist takes hyperreal model aircraft, painstakingly builds them, paints them, and then uses them as a launching platform for a surrealist visual experiments that both entrance and estrange. NPAF is a 501(c)3 non-profit dedicated to the promotion of the National Parks of the U.S. through creating dynamic opportunities for artworks that are based in our natural and historic heritage. 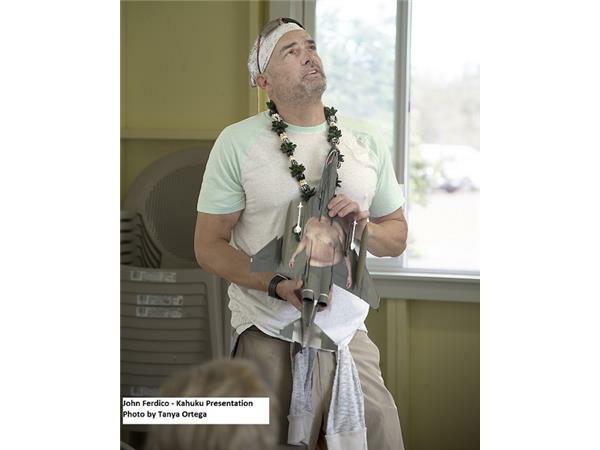 This project is supported by the National Endowment for the Arts, Friends of Hawai?i Volcanoes National Park, and other generous benefactors. Music featured on this episode is ‘Slackmenco’ from the album ‘Ripe’ by acclaimed Hawaiian slack key guitarist, Makana. Join hosts Nancy Reid & Lisa Smith, the mother-daughter travel team and publishers of Big Blend Radio & TV Magazine and Parks & Travel Magazine, for Big Blend Radio’s special Earth Day show.Featured guest is Andrew Flach, publisher of Hatherleigh Press, who discusses two books that cover sustainability: “GREEN TOWN USA: The Handbook for America’s Sustainable Future” by Thomas J. 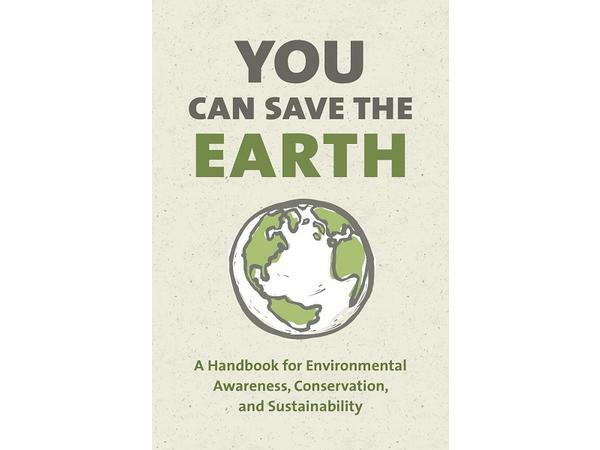 Fox, and “YOU CAN SAVE THE EARTH: A Handbook for Environmental Awareness, Conservation & Sustainability” by Sean K. Smith. 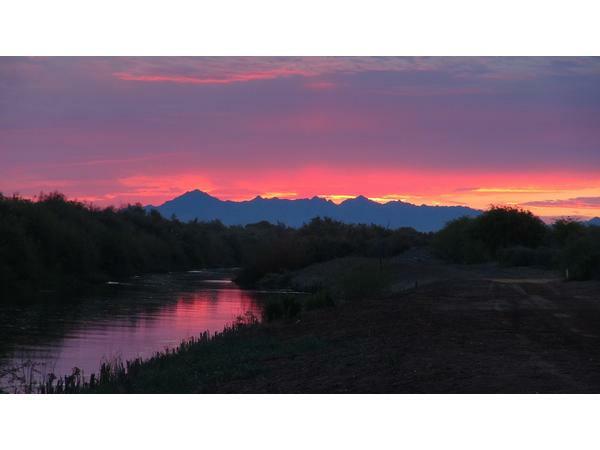 Featured music is “Loving the Land” by Wally Lawder.Show sponsor is fine art nature photographer Margot Carrera. Join hosts Nancy Reid & Lisa Smith, the mother-daughter travel team and publishers of Big Blend Radio & TV Magazine and Parks & Travel Magazine, for Big Blend Radio’s 3rd Friday Family History show, airing live from the Historic Coronado Motor Hotel in Yuma, Arizona.On This Episode:- Art in Family History Research - Genealogist Holly T. Hansen, Founder of Family History Expos, shares tips on tracing your family roots using art.- Families with Artists - Artist Victoria Chick discusses noteworthy artists who have two to three generations of artists in their family, such as the Wyeths, Carraccis, Gentileschis, Morans and Yoshidas.Featured music is “Da Da Da” by The Madisons, “Please Remember Me” by artist Ted DeGrazia, and “Grandma” by Tall Men Group. Join Nancy J. Reid and Lisa D. Smith, the mother-daughter travel team and publishers of Big Blend Magazines, for Big Blend Radio’s Youth Success Show, airing live online from the Historic Coronado Motor Hotel in Yuma, Arizona.On This Episode:- Relationships & Independence - Bobbi DePorter, Co-founder of SuperCamp discusses how to build parent / teen relationships while boosting individual independence. 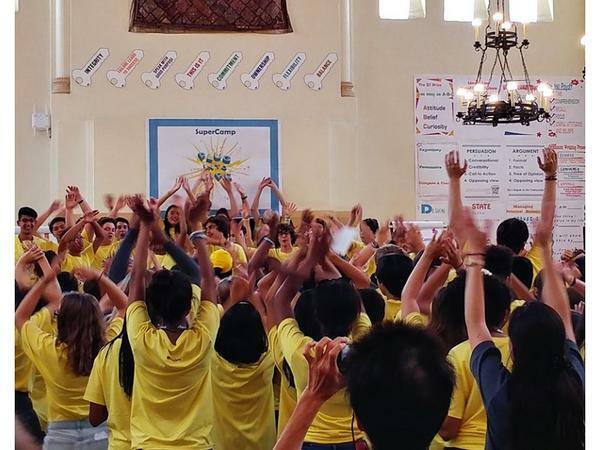 SuperCamp is a distinguished academic, leadership and life skills camp that has helped more than 80,000 students throughout the world.- Stewart Vincent Wolfe Creative Playground - June Wolfe shares how the community, students and City of Yuma, Arizona worked together to build and the rebuild this unique ADA playground that’s named in honor of her late husband and is recognized as one of the top 20 playgrounds in the country.- Arizona National History Dayis a program that makes history come alive for students and teachers by engaging them in the discovery of the historical, cultural, scientific, and social experiences of the past. Along with educator Stacey Trepanier and parents Julie Devine and Navaz Dolasa, students Drew Devine and Vir Dolasa-Sahani discuss their project for this year, “Collision of the Canyon. "Featured music is “Dream Big” by Nicki Kris, “Unstoppable” by Doreen Taylor, and “Great Blue Sky” by Evren Ozan. Join Nancy J. Reid and Lisa D. Smith, the mother-daughter travel team and publishers of Big Blend Radio & TV Magazine and Parks & Travel Magazine, for Big Blend’s World Radio Party airing live from the Historic Coronado Motor Hotel in Yuma, Arizona!On This Episode:- Sweet ‘n Spicy Salmon - Ivan Flowers, 5-Star Chef and Culinary Instructor, shares how to make his sweet and spicy glazed crispy salmon recipe, featured on BlendRadioandTV.com.- Tropical Island Destinations - Debbra Dunning Brouillette, travel writer and publisher of TropicalTravelGirl.com shares her tropical island adventures from the Greek Isles to South America, the South Pacific and Caribbean.- Island Hollywood History with Steve Schneickert.Featured music is and “Fish Fever” by James Saunders, “Jamaica” by Ed Roman, and “Seafaring” by The Madisons, Thanks to the International Food, Wine & Travel Writers Association (IFWTWA). Join Nancy J. Reid and Lisa D. Smith, the mother-daughter travel team and publishers of Big Blend Radio & TV Magazine and Parks & Travel Magazine, for Big Blend Radio’s 2nd Friday IFWTWA Vacation Station Food, Wine & Travel Show airing live from the Historic Coronado Motor Hotel in Yuma, Arizona.On This Episode:- A Tale of Two Long Beaches - Travel blogger Mary Lansing-Farah connects California’s metropolitan Long Beach with Washington state’s small coastal community of Long Beach. Mary is the publisher of the blog AlongComesMaryBlog.com and is a board member of the International Food Wine & Travel Writers Association. - Yuma Crossing - Lowell Perry Jr, Executive Director of the Yuma Crossing National Heritage Area, discusses the history, sites and activities of downtown Yuma, Arizona’s Colorado Riverfront area including the East and West Wetlands, Territorial Prison and Colorado River State Park.Featured music is “Ocean Front Walk” by Johnny Mastro & Mama’s Boys and “Oasis” by the Walk A-Bout Band.This episode is sponsored by the International Food Wine & Travel Writers Association (IFWTWA). Join Nancy J. Reid and Lisa D. Smith, the mother-daughter travel team and publishers of Big Blend Radio & TV Magazine and Parks & Travel Magazine, for Big Blend Radio’s Happy Hour show airing live online from the Historic Coronado Motor Hotel in Yuma, Arizona.On This Episode:- Summer Recipes - Ruth Milstein, author of the Gourmand award-winning recipe book “Cooking with Love: Ventures Into the New Israeli Cuisine” shares her recipe for Spinach-Chicken Salad with Apples and Nectarine. Hear the song "Nectarine" by Makana. See the recipe featured on BlendRadioandTV.com - Jeffrey Halford & The Healers Band - Jeffrey Halford discusses the band’s ninth album “West Towards South” that showcases their organic fusion of folk, rock, country and blues. The Healers comprise of Adam Rossi and Bill MacBeath, and guest stars Mark Karan and Tom Heyman.Thanks to Spontuneous 'The Song Game' for sponsoring this show! Join Nancy J. Reid and Lisa D. Smith, the mother-daughter travel team and publishers of Big Blend Radio & TV Magazine and Parks & Travel Magazine, for Big Blend Radio’s Champagne Sundays show, airing live from the Historic Coronado Motor Hotel, Big Blend’s Love Your Parks Tour headquarters in Yuma, Arizona.On This Episode:- Destination Little Rock - Bill Fitzgerald of Little Rock Convention & Visitors Bureau provides an overview of the attractions and activities in Little Rock, Arkansas.- DeGrazia Gallery in the Sun - Executive Director Lance Laber and artist Ginny Moss Rothwell discuss famous Arizona artist Ted DeGrazia, and the restoration of the Mission in the Sun in Tucson, Arizona.- RJ Moody Demonstration Garden - Master gardener MaryLou Milstead talks about the Moody Garden in Yuma, Arizona and Bill Moody shares his father’s legacy as an esteemed community leader.- The Peanut Patch- Donna George talks about The Peanut Patch, a popular agricultural and culinary destination in Yuma, Arizona. Featured music is “Pour the Champagne” by Jann Klose, “Sunset Steps” by Domingo DeGrazia and “Chair Beneath a Tree” by Wally Lawder. 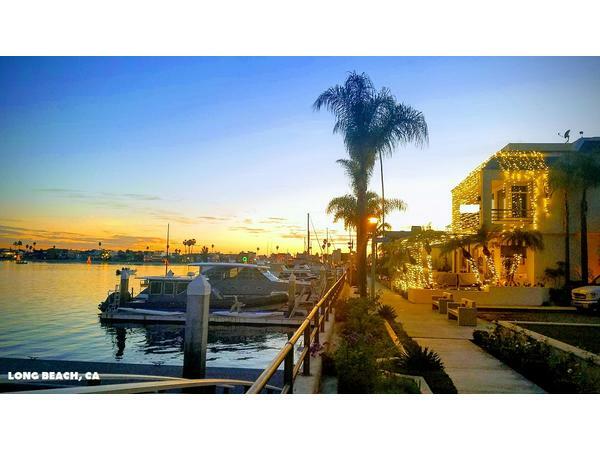 Join Nancy J. Reid and Lisa D. Smith, the mother-daughter travel team and publishers of Big Blend Radio & TV Magazine and Parks & Travel Magazine, for Big Blend Radio’s 1st Friday Toast to The Arts show, airing live from the Historic Coronado Motor Hotel in Yuma, Arizona. The creative output of Anthony R. Green includes musical and visual creations, interpretations of original works or works in the repertoire, collaborations, educational outreach, and more. Behind all of his artistic endeavors are the ideals of equality and freedom, which manifest themselves in diverse ways in a composition, a performance, a collaboration, or social justice work.On this episode Anthony discusses his music and performing arts career and recent National Parks Arts Foundation (NPAF) artist-in-residence experience at Gettysburg National Military Park. Tanya Ortega, photographer and founder of NPAF, also joins in the discussion and talks about the various NPAF artist residencies in National Park units such as Gettysburg, Hawaii Volcanoes, Chaco Canyon, Death Valley and Dry Tortugas.Watch Anthony perform Kid Gunner Brother (solo version, 2019) by Darian Donovan Thomas, on Vimeo.com. Join Nancy J. Reid and Lisa D. Smith, the mother-daughter travel team and publishers of Big Blend Radio & TV Magazine and Parks & Travel Magazine, for Big Blend Radio’s Quality of Life Show, airing live online from the Historic Coronado Motor Hotel in Yuma, Arizona.We set ourselves up for letdowns when we have an expectation that something will occur in a certain way and it doesn’t. We invest our emotions in our picture of what we expect and if that isn’t what we see, we are disappointed. 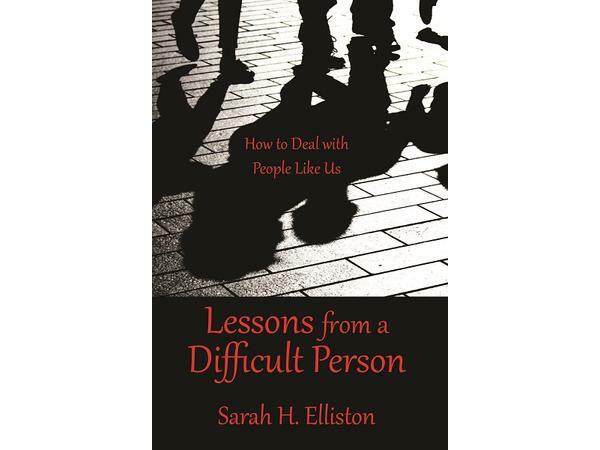 On this episode, Sarah H. Elliston, author of “Lessons from a Difficult Person: How To Deal With People Like Us,” shares advice on how to deal with unrealistic expectations. Sarah is a faculty member of the William Glasser Institute and is a workshop leader and trainer who is certified in Values Realization, Parent Effectiveness Training and Reality Therapy. See Sarah's article on BlendRadioandTV.com. Featured music is “Let Me Free My Mind” by David T. Dunn. 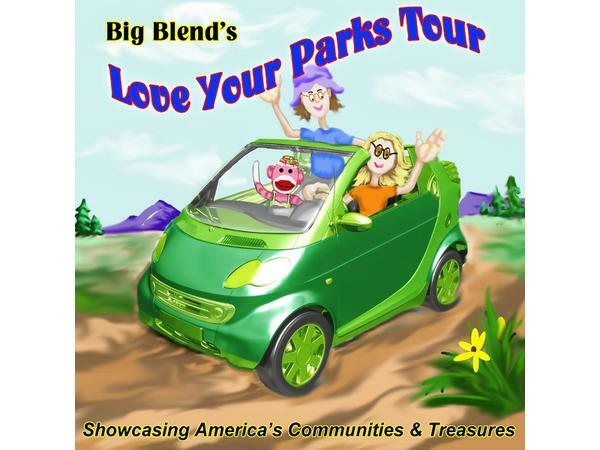 Join Nancy J. Reid and Lisa D. Smith, the mother-daughter travel team and publishers of Big Blend Radio & TV Magazine and Parks & Travel Magazine, for Big Blend Radio’s Vacation Station travel show focusing on the coastal community of Anacortes, Washington. Representing the Anacortes Chamber of Commerce, Amanda Hubik talks about the spring and summer events and activities in Anacortes, a charming Pacific Northwest getaway located on Fidalgo Island. 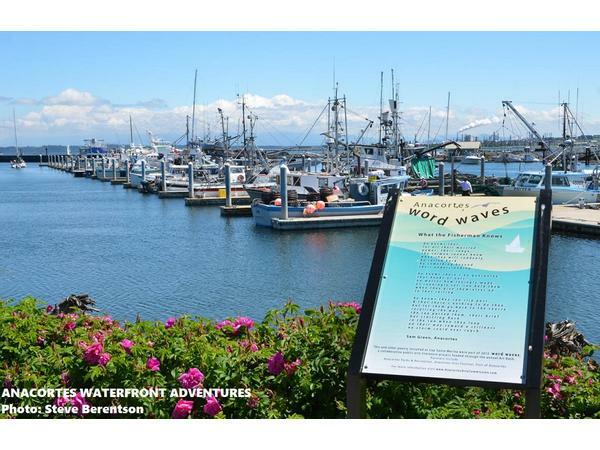 Hear about the 2019 Spring Wine Festival (April 13th), Anacortes Boat & Yacht Show (May 16-19), Anacortes Waterfront Festival (June 1 & 2), Shipwreck Day (July 20), and much more. Anacortes is conveniently situated halfway between Seattle and Vancouver BC, and is the destination point for the San Juans. Discover for yourself the city’s great and varied places to stay, fresh and local restaurants, relaxing spa treatments, tasty microbrews, interesting shops, historic neighborhoods, unique museums, and 2,500 acres of forestlands for hiking and biking.Featured music is ‘Ocean Front Walk’ by Johnny Mastro & Mama’s Boys. Join Nancy J. Reid and Lisa D. Smith, the mother-daughter travel team and publishers of Big Blend Radio & TV Magazine and Parks & Travel Magazine, for Big Blend Radio’s A Toast to The Arts Show focusing on music and art events in Natchitoches, the oldest city in Louisiana.Arlene Gould, Executive Director of Natchitoches Convention & Visitors Bureau, talks about the 3-Year No Man’s Land Becoming Louisiana Bicentennial Celebration and the 45th Annual Melrose Plantation Arts & Crafts Festival (April 6-7, 2019). 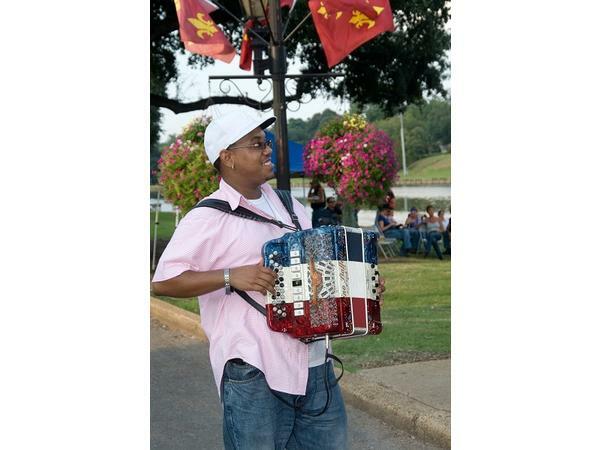 Dr. Shane Rasmussen, Director of the Louisiana Folklife Center, discusses the performers, artists and activities at the 40th Annual Natchitoches NSU Folk Festival (July 26-27, 2019). Daniel Page and Katarina Haymon talk about the music lineup at the 23rd Annual Natchitoches Jazz/R&B Festival (May 10-11, 2019).Featured music is “Saxophone” by Jon Roniger & The Good for Nothin’ Band. 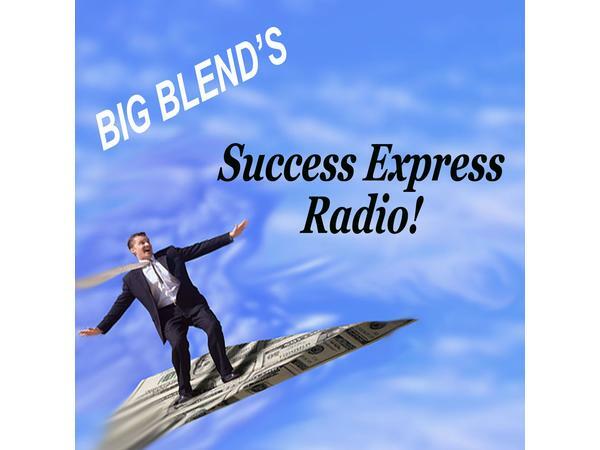 Join Nancy J. Reid and Lisa D. Smith, the mother-daughter travel team and publishers of Big Blend Radio & TV Magazine and Parks & Travel Magazine, for Big Blend Radio’s Success Express Business Show, airing live from the Historic Coronado Motor Hotel in Yuma, Arizona.On This Episode:- The Anatomy of a Change Agent - Ralph Masengill Jr. discusses the many qualities and skills of a good change agent, as covered in his latest book, “Conquer Change & Win: An Easy-to-Read Fun Book on the Serious Subject of Change.” - Workplace Disability Laws - San Diego employment attorney Ward Heinrichs explains Federal and California disability discrimination laws covered under the American’s with Disability Act (ADA) and Fair Employment and Housing Act (FEHA).Featured music is “Bay Station Wiggle” by Bay Station Band, and “Lawyered Up” by the Tall Men Group. Join Nancy J. Reid and Lisa D. Smith, the mother-daughter travel team and publishers of Big Blend Radio & TV Magazine and Parks & Travel Magazine, for Big Blend Radio’s Champagne Sundays show, airing live from the Historic Coronado Motor Hotel, Big Blend’s Love Your Parks Tour headquarters in Yuma, Arizona.- Destination Yuma, Arizona - Yvonne Peach, owner of the Historic Coronado Motor Hotel, Yuma Landing Bar & Grill, and the Yuma Historic Society Museum of Aviation and Tourism.- Yuma Hollywood History - From the 1959 ABC television series 'The Rebel' to the 1994 film 'The Shawshank Redemption', Steve Schneickert recalls the Hollywood History of Yuma, Arizona.- Red Dot Artists’ Studio Tour- Artists Diane Kleiss and Paula Lewis Manning discuss Silver City Art Association’s RED DOT Artists’ Studio Tour, happening May 3-5, 2019 in the charming and historic art community of Silver City, New Mexico.Featured music is “Traveler” by the Walk-A-Bout Band, “Awaken” by Aaron M. Lewis, and “My Favorite Bridge” by Jon Roniger. Join Nancy J. Reid and Lisa D. Smith, the mother-daughter travel team and publishers of Big Blend Radio & TV Magazine and Parks & Travel Magazine, for Big Blend Radio’s Vacation Statiom Show with travel writer Debbie Stone who shares her Temple Hopping Adventures in Bagan, Myanmar with Journeys Within, A Wild Frontiers Company.Bagan is the sacred mecca of Myanmar. In this “Golden Country,” long shrouded in myth and legend, pilgrims come to the “sea of temples,” prostrating themselves before towering images of the Buddha. They offer donations and whisper mantras, while saffron-robed monks recite prayers in hypnotic monotonal chants. 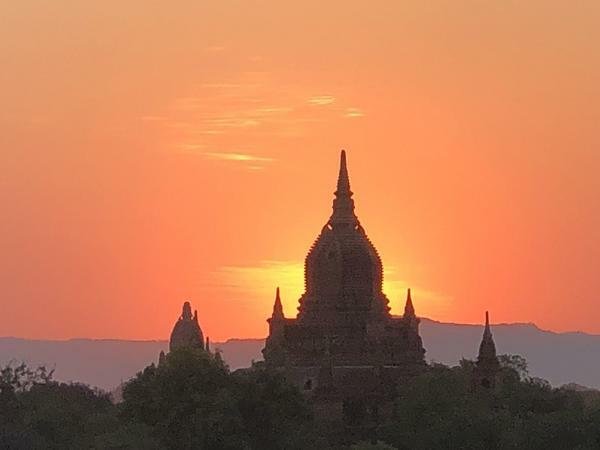 Religious fervor and sense of spirituality permeates Bagan. And no wonder, as it is home to the largest collection of Buddhist structures in the world, more than 2,200 in number.Originally the capital of the Kingdom of Pagan, the site once contained up to 10,000 temples, with many built between the 11th and 13th centuries. The kingdom was the first to unify the regions that would later comprise modern Myanmar, and helped to establish Burmese culture and ethnicity. It also embraced Theravada Buddhism with a zeal that is still very apparent across the country today. Read Debbie's Bagan Story on BlendRadioandTV.com.Featured music is “Mantra” by Wally Lawder. 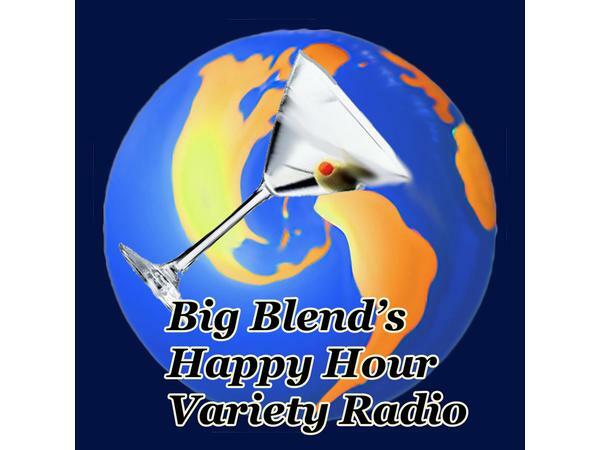 Join Nancy J. Reid and Lisa D. Smith, the mother-daughter travel team and publishers of Big Blend Magazines, for Big Blend Radio’s Authors Happy Hour Show.ON THIS EPISODE:- J. B. Jamison discusses his “Skwerdlock” children's series that encourages imagination and self-expression, and his Emily Graham adult mystery series that tackles danger as thrilling adventures continue.- Caroline Taylor discusses “Death in Delmarva.” An investigation leads Daphne Dunn to the Delmarva Peninsula and a woman so desperate to cover her crimes against undocumented workers that she will kill anyone in her way, including the girl who is quite possibly Daphne's mirror image, Charlie.- Featured music is by Allison August, Peggy James, The Cravens. Thanks to JKS Communications for sponsoring this show! Join Nancy J. Reid and Lisa D. Smith, the mother-daughter travel team and publishers of Big Blend Radio & TV Magazine and Parks & Travel Magazine, for Big Blend Radio’s Champagne Sundays variety show.On This Episode:- Scavenger- Indian guitar virtuoso Prateek Rajagopal discusses his debut album “Scavenger” featuring Colin Edwin of “Porcupine Tree.” Prateek's interest in genres and art forms gives rise to HOIA, inspired by avant-garde, progressive rock, experimental and industrial music.- PortoVino - Gunnar and Marisa Hammerbeck, the husband-wife creative team behind PortoVino talk about their stylish tote bags and backpacks that discreetly hold and pour 1.5L of your favorite beverage (equivalent to 2 bottles of wine) from a removable, easy to use BPA-free party pouch. - Child of the Woods - Author, culinary instructor and musician Susi Gott Séguret discusses her new book, “Child of the Woods: An Appalachian Odyssey,” a beautiful collection of short stories and observations from her experiences growing up in the natural settings of rural Appalachia. Hear her songs, “Carolina” and “Ripshin.”Thanks to show sponsors: National Parks Arts Foundation (NPAF) and International Food Wine & Travel Writers Association (IFWTWA). 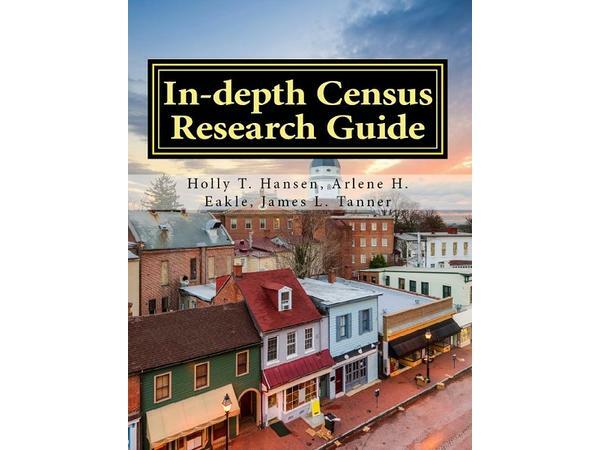 Join hosts Nancy Reid & Lisa Smith, the mother-daughter travel team and publishers of Big Blend Radio & TV Magazine and Parks & Travel Magazine, for Big Blend Radio’s 3rd Friday Family History show, with this episodeOn This Episode:- Census Research - Genealogist Holly T. Hansen - Founder of Family History Expos, and genealogist Ruby Coleman - President of the North Platte Genealogical Society, share how census is a key tool to successfully researching your family in the United States. A well-indexed census provides a quick and easy way to locate where your ancestors lived, when they lived there, and who lived with them or nearby.- Bayou Rapides Cemetery - A Love Your Parks Tour family history story, hear Nancy & Lisa’s conversation with Bobby Hynson during their visit to Rapides Cemetery in Pineville, Louisiana. The cemetery was listed in the National Register of Historic Places on June 15, 1979, and is known to be the oldest burial ground in Rapides ParishFeatured music is “Stepping Stones” by Kimia Penton, and “Beneath a Solemn Sky” by The Gunboat Diplomats. 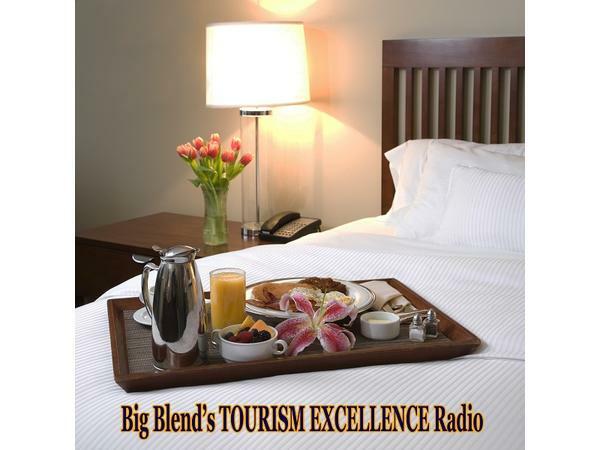 Join Nancy J. Reid and Lisa D. Smith, the mother-daughter travel team and publishers of Big Blend Radio & TV Magazine and Parks & Travel Magazine, for Big Blend Radio focusing on Travel Tips and Tourism Excellence.On This Episode:- Tourism Excellence with Bobbi DePorter - Co-founder of SuperCamp, President of Quantum Learning Network and creator of the 8 Keys of Excellence, and Adam M. Roberts - Executive Director of Bethesda Green. Part of the series on How to Put the “I” Back Into Community through a Responsible Tourism Plan that incorporates the 8 Keys of Excellence, this discussion focuses on OWNERSHIP – Be part of the solution. Take “ownership” of your community with positive and responsible actions.- Online Safety Tips for Travelers with Tom Talleur, who along with being a cybercrime and forensic technologist who worked with NASA for many years, is an avid world traveler, travel writer and editor of RoverTreks.com.Featured music is ‘Helping Hands’ by the Tall Men Group, and ‘I Don’t Believe a Word’ by the Brutalists. 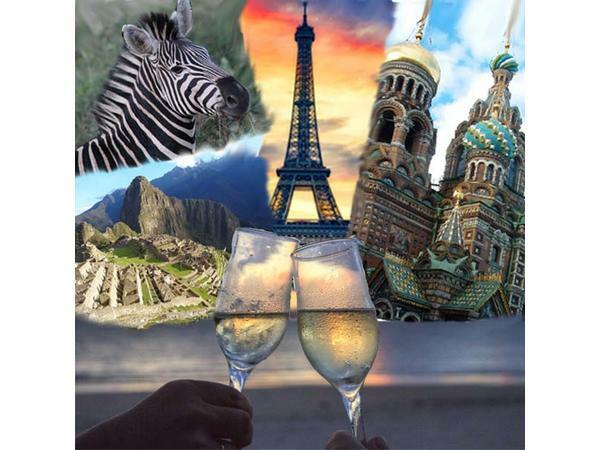 Thanks to the International Food Wine & Travel Writers Association (IFWTWA) for co-sponsoring this show. 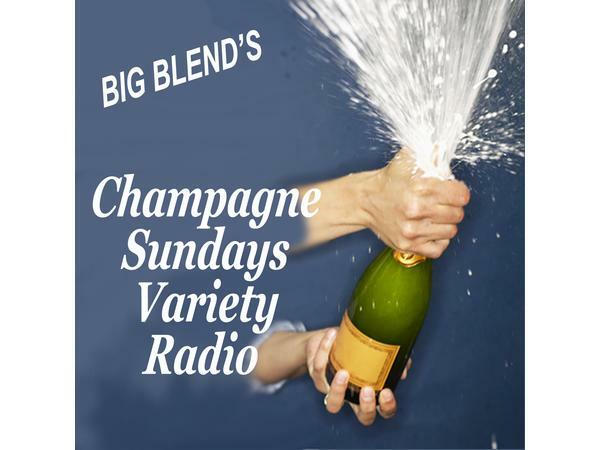 Join Nancy J. Reid and Lisa D. Smith, the mother-daughter travel team and publishers of Big Blend Radio & TV Magazine and Parks & Travel Magazine, for Big Blend Radio’s Champagne Sundays show featuring Stories from the Love Your Parks Tour.On This Episode:- Conquer Change & Go on Tour! Ralph Masengill Jr., author of “Conquer Change & Win: An Easy-to-Read Fun Book on the Serious Subject of Change,” talks with Nancy & Lisa about the changes they are going through in order to launch Phase Two of their Love Your Parks Tour, where starting this spring, they will travel full-time to visit and document all of America’s parks and public lands, and showcase their communities. - Generals & Giants - Award-winning military historian and author Mike Guardia talks about the accomplished military careers of General Sherman and General Grant, both who have Giant Sequoia Trees named in their honor. These magnificent trees are located in Kings Canyon & Sequoia National Parks, a destination on the Love Your Parks Tour.Featured music is “Building a Fire” by Shelley King, and “Colors of the USA” by Doreen Taylor. Join Nancy J. Reid and Lisa D. Smith, the mother-daughter travel team and publishers of Big Blend Radio & TV Magazine and Parks & Travel Magazine, for Big Blend Radio’s 2nd Friday Vacation Station Food, Wine & Travel Show.On This Episode: - Epic Yellowstone - Thomas Winston and Shasta Grenier Winston, the husband and wife directorial team behind EPIC YELLOWSTONE from Grizzly Creek Films, talk about the making of this eagerly anticipated Smithsonian Channel series. 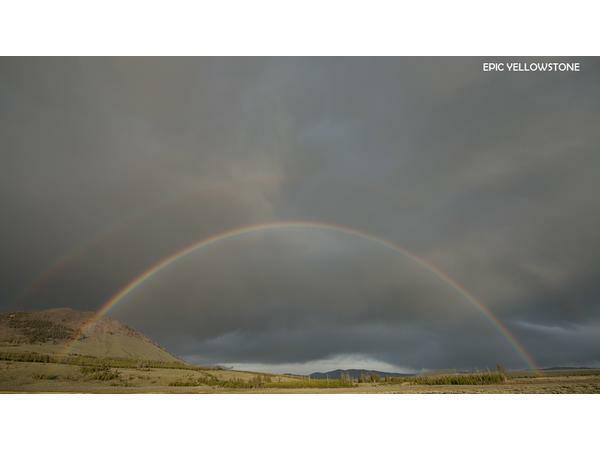 Fetauring Bill Pullman as host, the series offers a front row seat to the extraordinary spectacle of wildlife and dramatic seasonal extremes in the iconic crown jewel of America’s national parks. - Saguenay Fjord - Travel writer, author and outdoor adventurer Stacey Wittig, publisher of UnstoppableStacey.com, shares her experience in beautiful Saguenay Fjord National Park in Quebec, Canada. The vast 78,900-acre park is made up of breathtaking forest and wilderness areas, sea and fresh water, mind-blowing geological formations, and rich history and culture.Featured music is ‘Mori (Forest Song)’ by Yagull, and ‘The Climb’ by Evren Ozan. This episode is sponsored by the International Food Wine & Travel Writers Association (IFWTWA).